Rohit Shetty is mixing his masala potboiler sensibilities with social responsibility in his upcoming Simmba, that marks his first collaboration with 'entertainment package' Ranveer Singh. Though Rohit’s heroines have had significant roles in his commercial action-comedies even being a catalyst in some cases like Golmaal 3, his films have rarely raised serious gender issues. However, with Simmba, he is also exploring the uncharted territory and after having delivered his dose of entertainment in the first 45 minutes or so, he goes into the serious mode and stays there as the theme requires. “When you watch the film, for the first 45 minutes there is song and dance…” says Shetty. Firstpost catches up with the director, who also talks about his leading lady Sara Ali Khan, working with Akshay Kumar, desire to work with Amitabh Bachchan and Rajinikanth, and of course, the livewire called Ranveer Singh. Yes, but the first 45 minutes, it is a typical Rohit Shetty film and then it takes a turn because we are dealing with a serious issue and it never leaves that issue just like how Singham was. Then, it becomes serious and there are no songs, or comedy happening after that. It is the responsibility towards the issue we are dealing with. When my team and I were watching the final cut, everyone said that I have made a woman-oriented action film this time. In fact, people will wait for the song and dance to end. I would really want to see the audience reaction when the film takes a serious turn. Family audience is my major audience. If I see even a line going towards vulgarity or any such gesture, we cut it off immediately on sets because I have that responsibility towards my audience. I saw the Telugu hit Temper and I liked the character played by Jr NTR. I thought let’s take this character and write our own story and screenplay; it would be interesting because we had already done Singham, which was about an honest cop. This cop has a different shade; he is negative, he takes bribes, he's dishonest but he’s lovable. We bought the rights and wrote our story and all this happened before Golmaal Again. Ranveer and I were doing an ad and I narrated an idea to him and asked him what if we make this film for the Hindi audience, and he agreed. That is how it all started and the film went on floors on 6 June. Though the movie is based on Temper, there are merely few plot points which are similar. It's an entirely new story. These speculations will happen till the first show hits the theatres. When we were promoting Singham, people were saying it looked like Dabangg. Even if someone else blows cars, they will say this is Rohit Shetty’s cinema. Someone else becomes a cop and it will be said that the film looks like Singham. Until people watch Simmba, they won’t know what it is all about. Also, cop films can’t look much different because the hero will wear the uniform and get off from a jeep wearing a Ray Ban. Speculation is happening of a cop film and not about the story. But, if Simmba is reminding you of Singham then it’s a good thing because they are from the same universe, from the same place in the film. However, the major difference between the two towering personalities is that Singham is an honest and upright cop whereas Simmba is a corrupt police officer. Also, Singham means lion and a lion’s cub is Simba (The Lion King reference) hence, we named the movie Simmba. 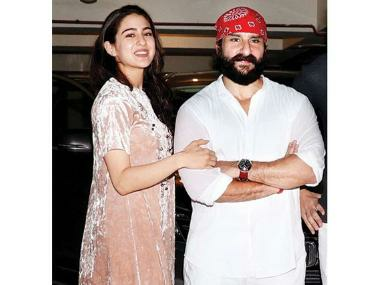 Were you hoping Simmba to be Sara Ali Khan’s debut film? Was it disappointing that Kedarnath was her launchpad? No, I always wanted Kedarnath to come first. When Kedarnath didn’t revive and we started shooting Simmba, Sara used to always ask me that will I put her name as launching or introducing her. I told her that ethically it would be wrong because that credit should always be Gattu’s (Abhishek Kapoor). I am very happy that Kedarnath came first. But Sara approached me herself. She sent so many messages that I got pakaoed (laughs). Kedarnath was also coming up and if I made a film, I would complete it in four months and we will come before Kedarnath, which would be wrong. Next day Gattu called me suggesting that I take Sara. So Sara happened because of Gattu. He took the initiative that I come and watch Kedarnath to see if she suits the character. Next day, I called Sara. Sara is a superstar. She is full commercial like how a Hindi film heroine has to be. I always tell her that she was very lucky that she has catered to the Kedarnath audience and now also the Simmba audience. You can see that she looks like young Karisma in ‘Aankh Maare’. That energy of commercial film heroine is there in her. I just went with my conviction to cast her. Ranveer has enhanced the character in leaps and bounds. He has taken this film to another level with his performance. The way he has got into the character... all that fun element is fine, but when it gets serious, his performance in few scenes has given me goose bumps even though I have shot it. To get that feeling is rare. Ajay Devgn will be seen in a cameo? There is no stress with Ajay because we always discuss and he knows what I am doing next. He is my elder brother. He knows everything. Even if I am buying a new car, he knows which car I am buying. Film is far away. And that universe is such that, without Ajay I couldn’t have made the film. Obviously he knew what I was doing. He’s the narrator of the film, it is his world. 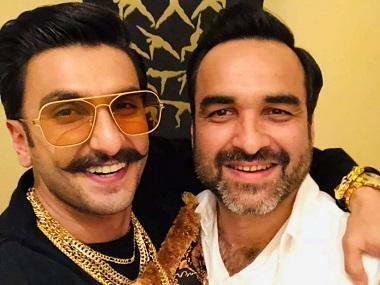 Will Simmba franchise continue with Ranveer? If people like it, I will definitely continue with him. This collaboration will go for years and years. He's great energy, great actor and a good human being which is most important because if a good actor is a bad human being then it leads to tension on sets. Ranveer is like a kid. He is clean-hearted. He has proved to be a good actor every now and then. Now you have three 'properties' — Golmaal, Singham and Simmba. Will you be in a dilemma about which one to make next? It all depends upon the story, if I feel this one should happen first, I will make that one. I won’t lose my audience. If a five-year-old kid has watched my Golmaal that came 13 years back, today he is a teenager. The one who was 15 then must have become a father, so his child would be Golmaal fan along with his dad. That is our calculation. Golmaal is like Colgate. It will never leave any family’s life. In the middle of action and comedy, how difficult it is to incorporate sentimental stuff? It is very difficult. First of all, it is very difficult to make a commercial film; it is a sad thing that people look down upon it. You can shoot a good scene in any room but shooting with 2000 people on a street is tough. Will Sara be seen doing any action in Simmba? No, she isn’t doing any action but yes, I will make a film on lady cop at some point of time and then the brand will come full circle. After working with many senior actors how does it feel working with new-age actor Ranveer? I am very content; I am lucky with my career graph, audience love... People say that I have become a brand. I feel blessed and I don’t take all this for granted. I also feel pressurised when I hear that lot of actors want to work with me and it rarely happens with directors. It is not that I have done some great work, I haven’t made a Mother India. Still people like me, like my cinema. I am lucky. Will your next directorial feature Akshay Kumar? My film with Akshay Kumar, who confirmed this one? We have just had two meetings so far and it has become a talking point. Nothing has been decided, there’s still time for it. What’s happening to Ram Lakhan and Angoor? Both are lying in the bank. I don’t know when it will get made. Is there any actor you want to work with?